Brilliant cover, Carol. You had me at cupcake. Congratulations on your soon to be new release. A hot and spicy taste of murder—and more. During the day, law enforcement consultant Gracie Hofner is on assignment at a small San Antonio bakery, waiting for a delivery. No one knows what it is or when it will arrive. The upside? Working next to Donovan Beck, a flirty hunk and a half—perfect fling material. At the girl’s aunt’s house, Gracie experiences a peculiar need to leave immediately. She tries to deny the urge to flee and pushes the pressure aside, but the compulsion intensifies. Gracie thinks she must have a brain tumor. Or is losing her mind. When similar events continue to occur, Gracie sees a pattern. Can she use this newfound ability to help her find the girl and her mother before it’s too late? 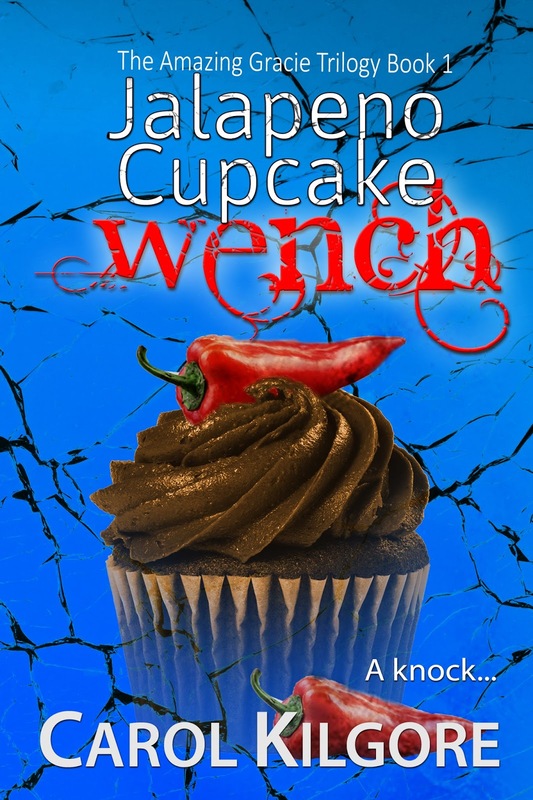 Carol Kilgore is the author of Jalapeno Cupcake Wench, the first book in The Amazing Gracie Trilogy, and three romantic suspense novels: In Name Only, Solomon’s Compass, and Secrets of Honor. She’s married, with dogs, and lives in San Antonio, the setting for the trilogy. Great cover and wicked cook title, Carol! 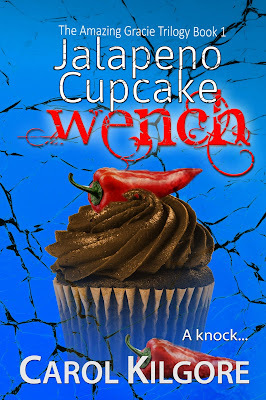 Thanks so much, Murees, for sharing the Jalapeno Cupcake Wench cover and a little bit about Gracie's story. Wishing you a great week! I love, love, love the title. Congrats, Carol! Thank you all for showing Carol support. You are great.